Steam distilled from the flowers. 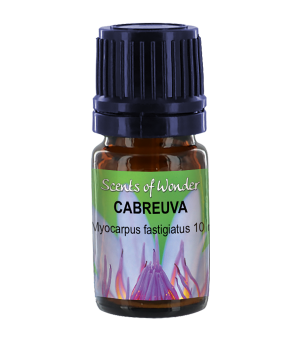 Ylang1 and Ylang 3 are different pressings of the same oil. 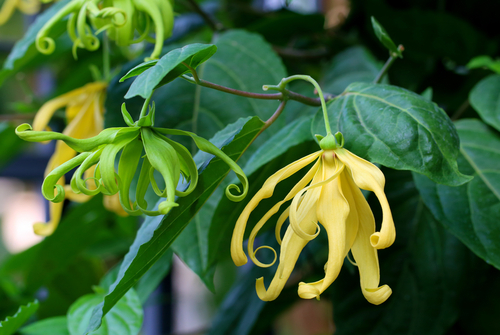 Ylang 1 is slightly superior in both smell and qualities, but both are very adequate. Used on dry, oily, combination skin, as well as, insect bites. Balances sebum. May relax the central nervous system. May bring down blood pressure. Occasionally flares up irritated skin. It is used as a common perfumery ingredient. Marcel Lavabre says it has all 3 perfumery notes. Excess use may lead to a headache. It may exaggerate the effects of alcohol, so do not combine. May cause a skin reaction in some. Do not use if pregnant, nor with children. No internal use.